French, chic and classic. Robert Clergerie was the first brand to create classic men´s style shoes for women. 30 years later this brand is one of the best womens dress shoe makers and has arguably the greatest sense for masculine feminity. Right balance and eye for contrasts are the key factors for the success. 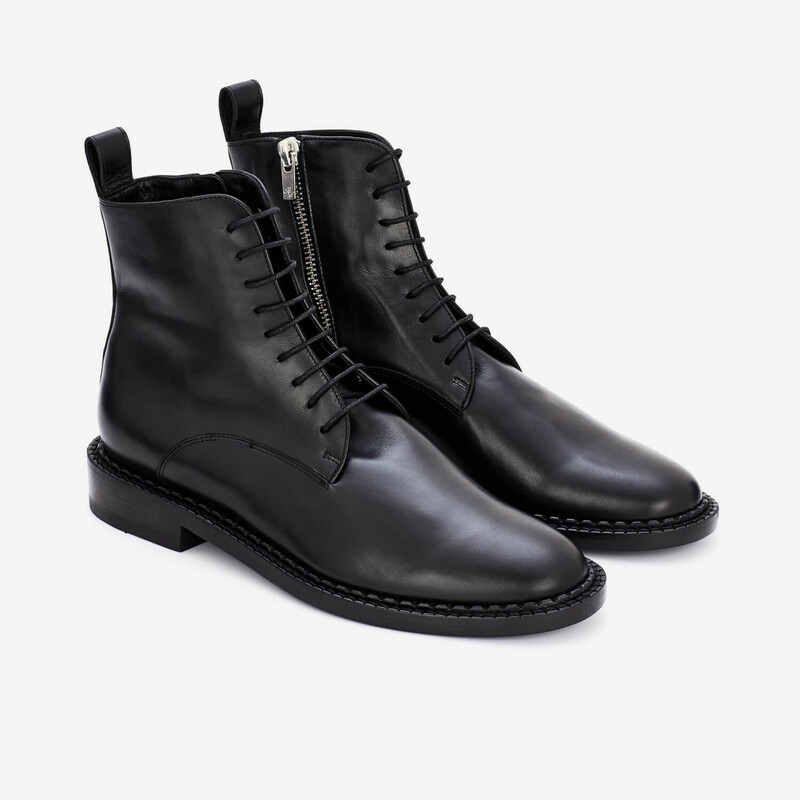 Jace lace-up boot from Robert Clergerie is the most topical low ankle boot this season. The style is inspired by the endless archives of Robert Clergerie classics. Low profile at the vamp and extra width of the sole paired with texture. 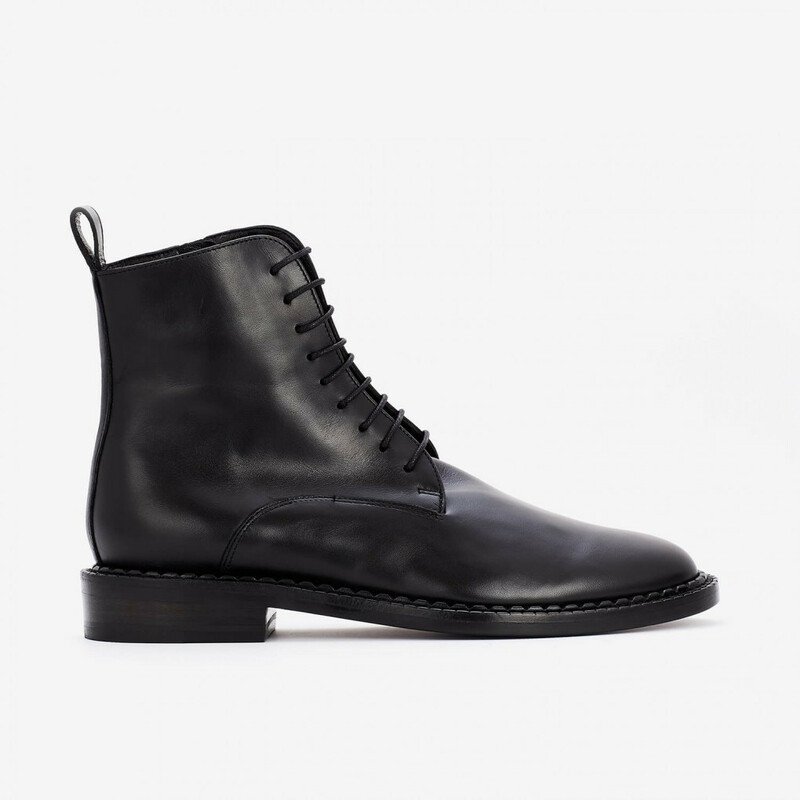 Read more..
Jace lace-up boot from Robert Clergerie is the most topical low ankle boot this season. The style is inspired by the endless archives of Robert Clergerie classics. Low profile at the vamp and extra width of the sole paired with textured welt gives personal character to this otherwise classic derby boot. Upper is made from soft calf leather for comfort and pleasant slender fit. 9-hole lacing and leather tab at topline. Waxed cotton laces. Silver coloured zipper on the inside makes the boot easy to slip on. Stacked leather heel with beautiful storm welt. Heel is 25 mm high. Pitch is 20mm. Pitch refers to the slant of the shoe sole. Robert Clergerie shoes are crafted by hand in century old factory in Romans France. 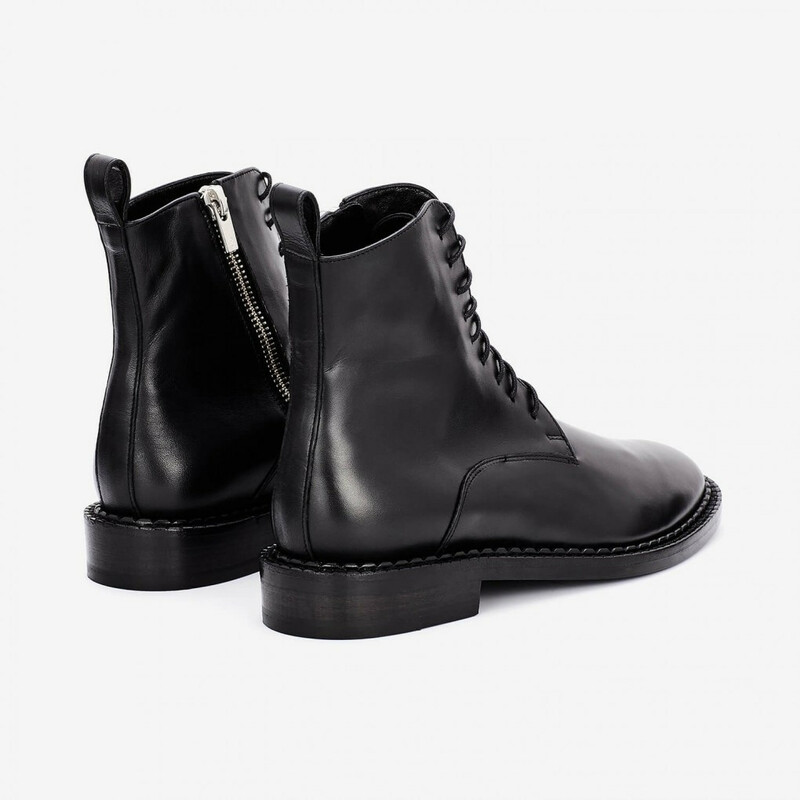 1 x Jace Boot Black was added to your shopping bag. 1 x Jace Boot Black was added to your wishlist.